START PROVIDING SUPPORT RIGHT NOW! 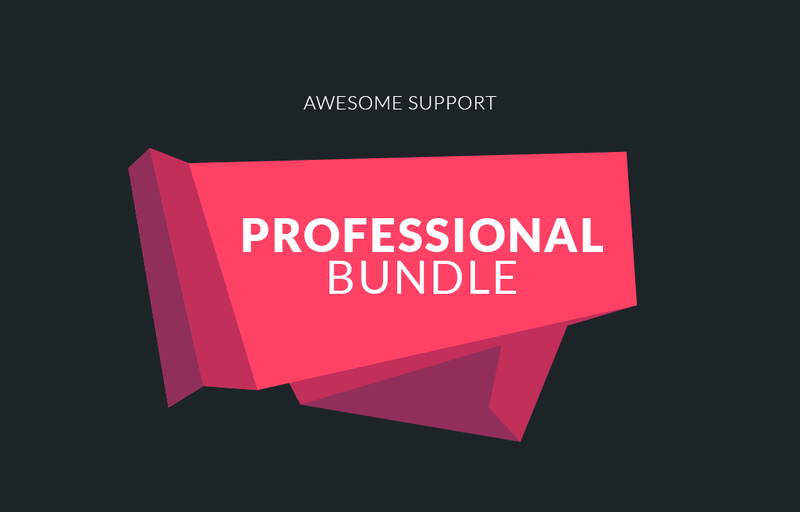 THE BEST SUPPORT PLUGIN FOR WORDPRESS HAS EVERYTHING YOU NEED IN THE BOX! Every action ever taken on every ticket is logged. You’re in complete control! 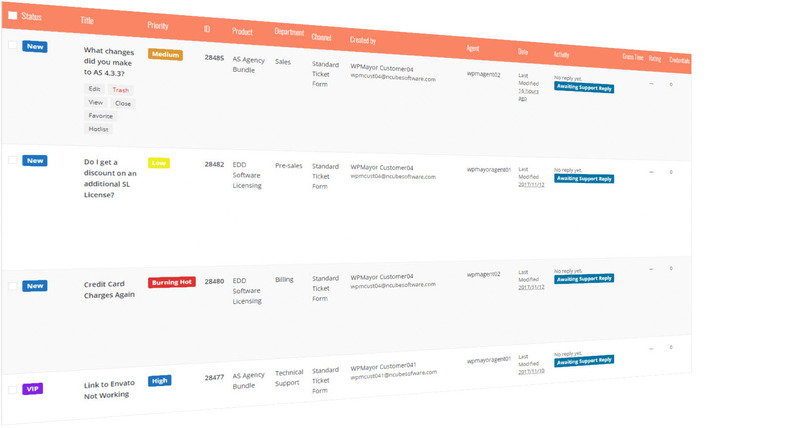 Trigger automatic emails on six key events such as new ticket, ticket replied etc. All text and graphics is completely within your control. 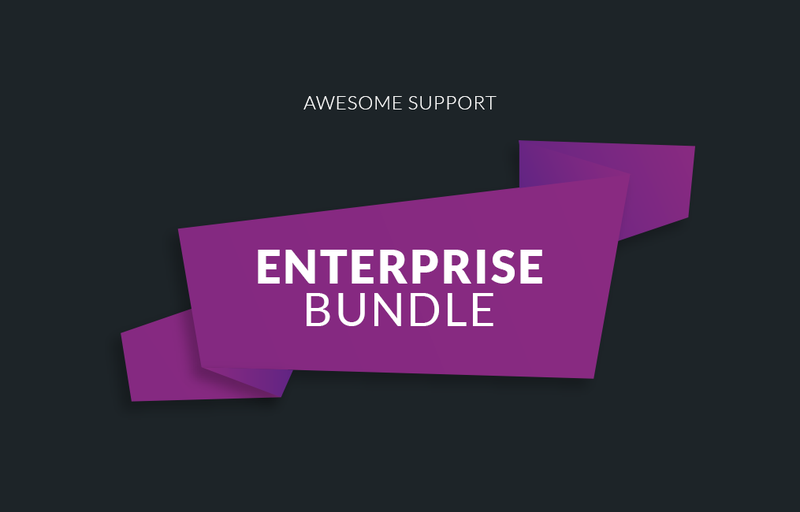 Get even more email options and events with our premium add-ons. Assign tickets to the agent with the least number of open tickets. 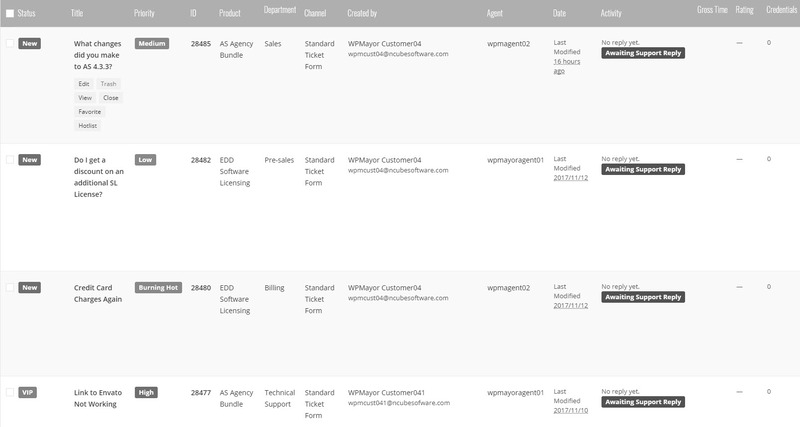 Use our smart-agent add-on for even more sophisticated ticket routing. 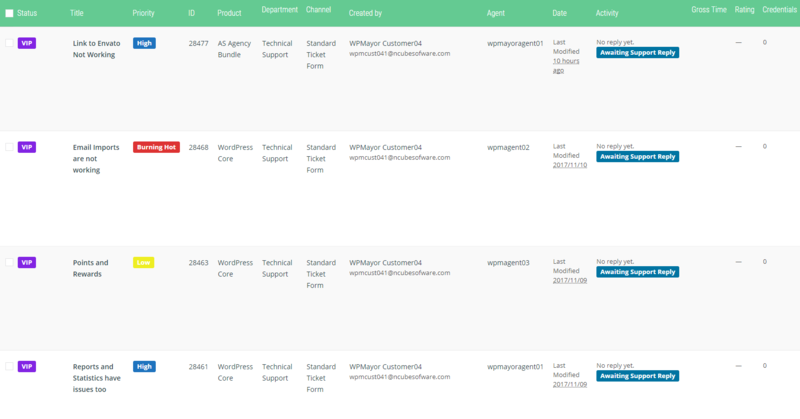 Add custom fields to your ticket forms, choosing from 13 field types – the most of any helpdesk plugin! 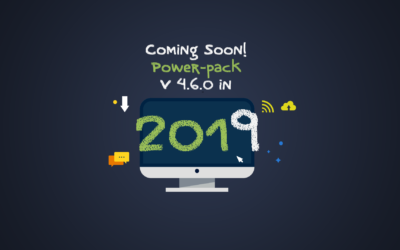 Use our premium custom-fields add-on for even more power. Integrate complex logic and powerful forms with the Gravity Forms bridge. What use is a ticket if clients can’t attach files? Multiple attachments to each ticket is supported right out of the box – even in the free version! Agents can add the time they spent on a ticket and supervisors can adjust the time reported as necessary while maintaining a full log of all edits! 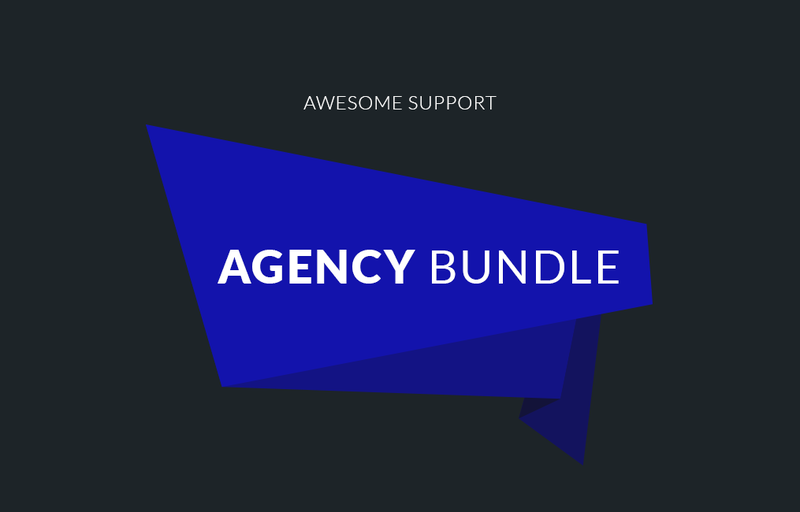 No per-agent fees with our free plugin or premium extensions. Unlimited agent seats included! Use our free IMPORTER ADD-ON to import your existing tickets from Zendesk, Helpscout and Ticksy. 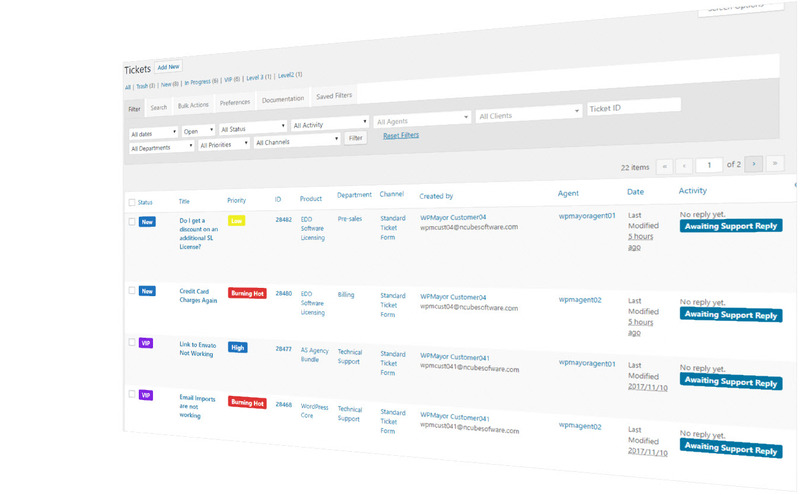 Your customers will experience a seamless transition to your new helpdesk. Hundreds of additional features are available to solve almost every pain-point you might have. And each add-on is very affordable – most are available for less than $50.00! That’s it – your customers can immediately setup an account and create their first ticket! We cover almost every major scenario you would encounter on a help-desk. View All Add-ons Now - Starting At Just $29.00! Zapier Integration Sends Data to Hundreds of Systems – and Accepts Data From Them Too! 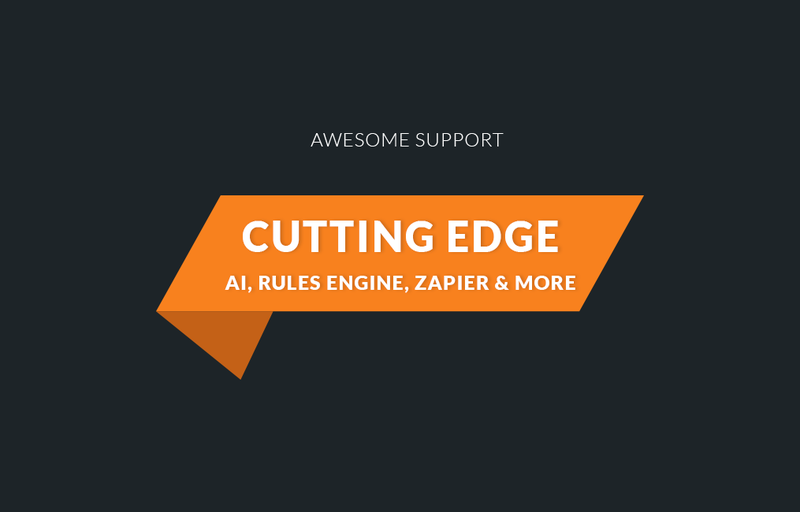 Why Not Save Some Time And Start Using The Most Versatile Support Plugin For WordPress Today? Did we mention that we’re so much cheaper especially in the long-run? For the biggest savings you really should check these out! 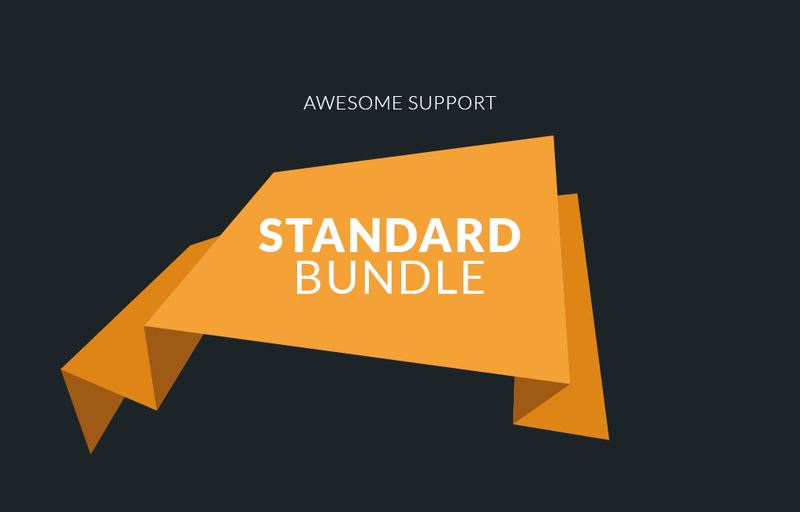 The Most Versatile Support Plugin For WordPress Can Be Yours Today! This is the third helpdesk plugin I’ve reviewed at this point. No offense to the others, but Awesome Support has the most detailed ticketing system that I’ve seen (assuming you have all of the extensions). I was incredibly impressed with what it could do. 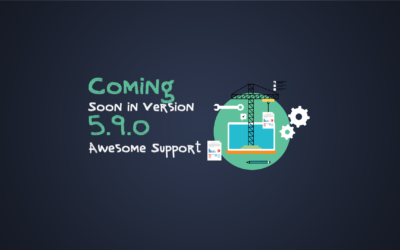 This WordPress helpdesk plugin offers many free features without having to upgrade. I don’t think any of the other helpdesk plugins can go toe-to-toe on pure functionality. 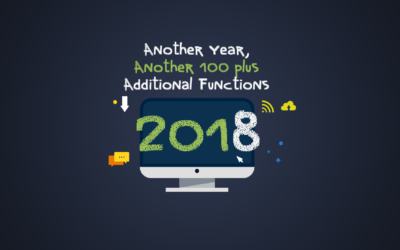 AWESOME CONTENT: WHITE PAPERS, TUTORIALS, UPDATES AND MORE!